I'm just curious, what was the inspiration/purpose for these? 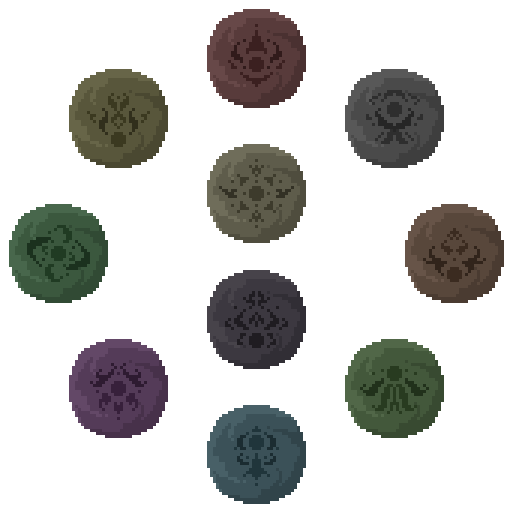 I'm always interested to see different elemental systems. A very brief resume of what happened next: The Dark God created Live, Humans, and Emotions, The Light Goddess created Death, Animals and Element beasts. After many years of continuant conflict... they both sealed a fraction of each Element God, including themselves, into special humans, then called: "Uniques". 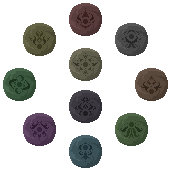 I always wanted to create a symbol representing each Element from my story, but I draw like a 5 year older, so I never even tried to make anything related to that story before.... until now, since I finally came to realize I am a bit good at PixelArt, I finally made it possible! And I am so happy with the outcome!